"Just one of those days you dream of as a race car driver," Keselowski said. "The car was really good," Keselowski said, stating the obvious. "Ford worked really hard in the offseason to build these (Mustangs) and make them really strong. And so far, so good." 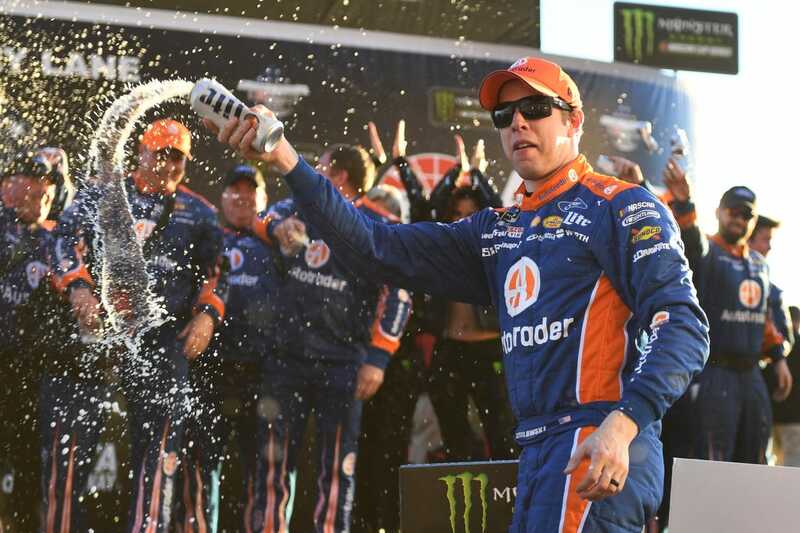 It was the 29th victory of Keselowski's Cup career and his second at NASCAR's shortest and oldest track. He beat Kyle Busch over the closing laps for the win in 2017. "I don't know if we were as good as the 9 car (Elliott)," Keselowski said. "He was really strong. He passed me with about 200 to go, and I watched him and studied him and kind of broke it down and knew what I had to do to hold him off with that fast of a car." Elliott left no doubt about what he would have done had he caught the leader in the final laps. "I thought we're about as even with him as we could be," Elliott said. "I thought when they got the lead there was a little advantage to being out front, being able to work traffic your way. "I tried to get to him there at the end and was pretty well content to move him out of the way but, maybe next time." Finishing third was Joe Gibbs Racing's Busch, who was attempting to win his third straight Cup race.